The Intel Core M-5Y10c is an ULV (ultra-low voltage) dual-core SoC based on the Broadwell architecture launched in late 2014. Thanks to its TDP of just 4.5 W (configurable), the CPU is suited for passively cooled tablets and 2-in-1 notebooks. In addition to two CPU cores with Hyper-Threading clocked at 0.8 - 2.0 GHz, the chip also integrates an HD Graphics 5300 GPU and a dual-channel LPDDR3/DDR3L(-RS) memory controller up to 25.6 GB/s. The chip is manufactured in a 14 nm process with FinFET transistors. The Core M-5Y10c offers a very wide turbo range from 0.8 - 2.0 GHz; however, the actual frequency will be largely limited by the TDP. Overall, performance is similar to a Core i3-4010U (Haswell, 15 W). Accordingly, the main purpose of Broadwell's higher power efficiency is to reduce power consumption instead of improving raw performance. The Core M-5Y10c will be sufficient for office and multimedia purposes as well as more demanding applications. The integrated HD Graphics 5300 offers 24 Execution Units (EUs) clocked at 300 - 800 MHz. Similar to the CPU core, the GPU architecture (Intel Gen 8) has been thoroughly revised for improved performance-per-clock. However, the GPU frequency is also limited by the TDP, which prevents significant performance boosts over the older HD 4200 under continuous 3D load. Current games as of 2014 will be playable in low settings and XGA resolution. With a TDP of only 4.5 W, the Core M-5Y10c draws noticeably less power than the Haswell Y-series (11.5 W). However, the TDP can be set to different values such as 3.5 or 6 W, affecting clock rates and performance (6 W: 1.0 GHz base clock, 3.5 W: 0.6 GHz base clock). The CPU can be passively cooled even in thin tablets. 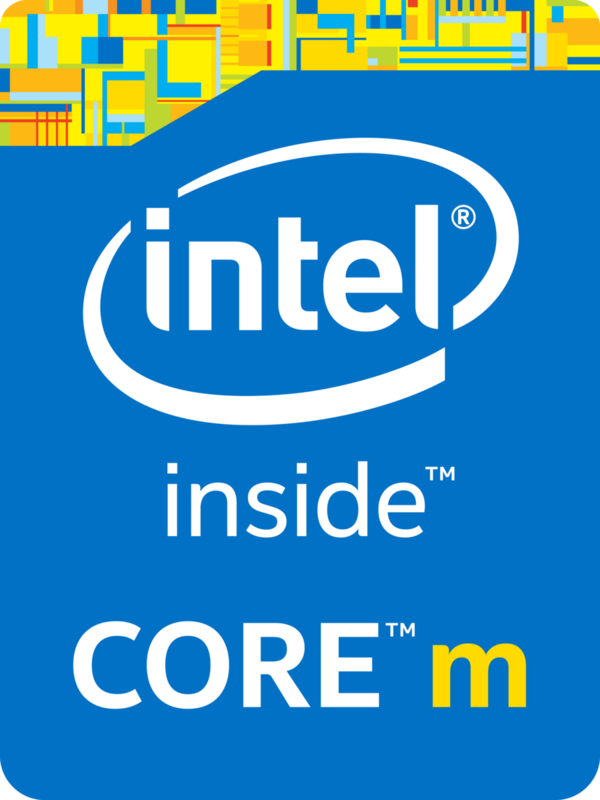 The Intel Core M-5Y70 is an ULV (ultra-low voltage) dual-core SoC based on the Broadwell architecture launched in September 2014. Thanks to its TDP of just 4.5 W (configurable), the CPU is suited also for passively cooled tablets and 2-in-1 notebooks. In addition to two CPU cores with Hyper-Threading clocked at 1.1 - 2.6 GHz, the chip integrates an HD Graphics 5300 GPU and a dual-channel LPDDR3/DDR3L(-RS) memory controller up to 25.6 GB/s. The Core M is manufactured in a 14 nm process with FinFET transistors. The Core M-5Y70 offers a very wide turbo range from 1.1 - 2.6 GHz; however, the actual frequency is largely limited by the TDP. While the CPU is similar to a Core i5-4200U (Haswell, 15 W) in short benchmarks, its performance begins to degrade under continuous full load. Accordingly, the main purpose of Broadwell's higher power efficiency is to reduce power consumption instead of improving raw performance. Overall, the Core M-5Y70 is sufficient for office and multimedia purposes as well as more demanding applications. The integrated HD Graphics 5300 offers 24 Execution Units (EUs) clocked at 100 - 850 MHz. Similar to the CPU core, the GPU architecture (Intel Gen 8) has been thoroughly revised for improved performance-per-clock. However, the GPU frequency is also limited by the TDP, which prevents significant performance boosts over the older HD 4200 under continuous 3D load. Only a few games as of 2014 are playable in low settings and XGA resolution. Broadwell is the first Intel chip to fully support DirectX 11.2 as well as OpenCL 1.3/2.0 and OpenGL 4.3. Video will output natively via DisplayPort 1.2 or HDMI 1.4a. However, the new HDMI 2.0 standard is not officially supported. With a TDP of only 4.5 W, the Core M-5Y70 draws noticeably less power than the Haswell Y-series (11.5 W). However, the TDP can be set to different values such as 3.5 or 6 W, affacting clock rates and performance. The CPU can be passively cooled even in thin tablets.